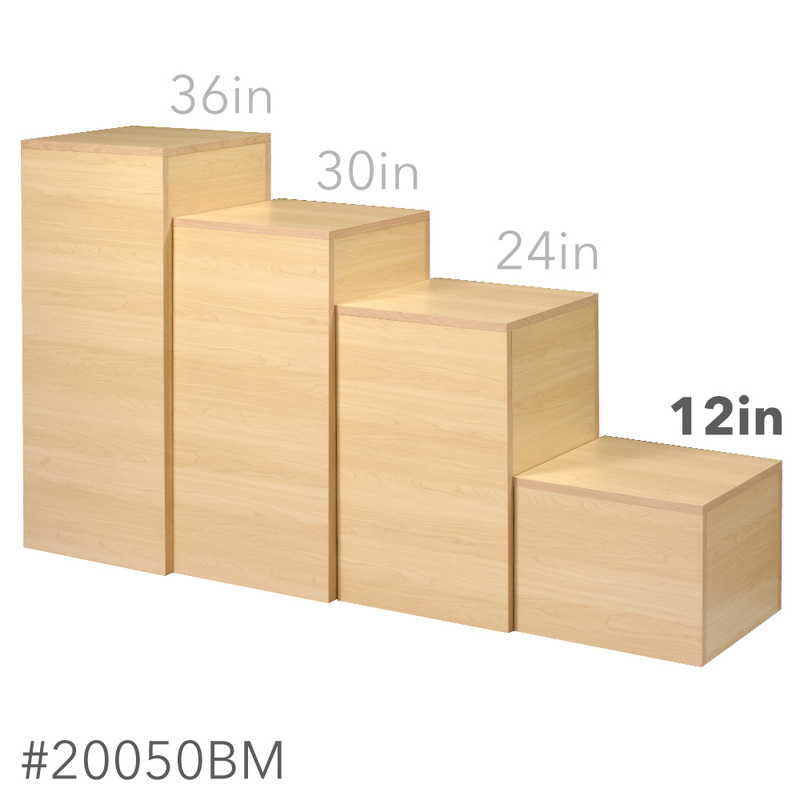 Build a visually appealing display with one or several Maple Wood Pedestals. 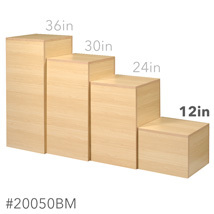 Laminate pedestals are scuff and scratch resistant and can easily be moved around your store. Versatile pedestals can display large or small items, be used in window displays, or arranged throughout your store. Features an open base design. Some assembly required. Picture shows all 4 pedestals as a set. Pedestals are sold individually or as a set.